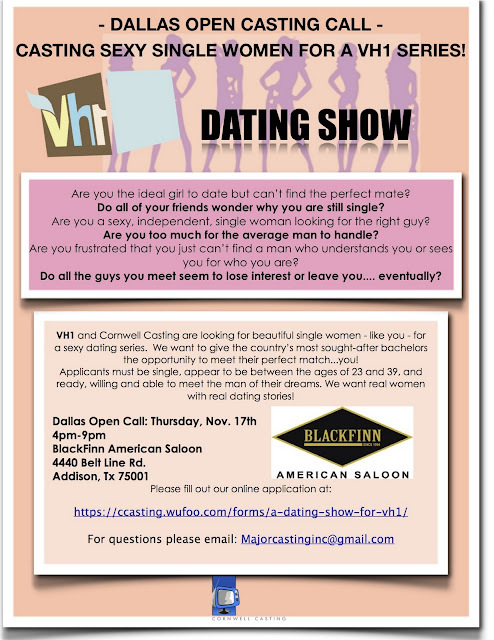 Yesterday, I published a casting call about a new show seeking men looking for The One. Today, I get this notice from VH1 about a show centered around ladies looking for love. If everyone is looking for love... how come no one can find it? Curious.